The central problem in the study of addiction is to explain why people repeatedly behave in ways they know are bad for them. For much of the previous century and until the present day, the majority of scientific and medical attempts to solve this problem were couched in terms of involuntary behaviour; if people behave in ways they do not want, then this must be because the behaviour is beyond their control and outside the realm of choice. An opposing tradition, which finds current support among scientists and scholars as well as members of the general public, is that so-called addictive behavior reflects an ordinary choice just like any other and that the concept of addiction is a myth. The editors and authors of this book tend to take neither view. There has been an increasing recognition in recent literature on addiction that restricting possible conceptions of it to either of these extreme positions is unhelpful and is retarding progress on understanding the nature of addiction and what could be done about it. This book contains a range of views from philosophy, neuroscience, psychiatry, psychology and the law on what exactly this middle ground between free choice and no choice consists of and what its implications are for theory, practice and policy on addiction. The result amounts to a profound change in our thinking on addiction and how its devastating consequences can be ameliorated. 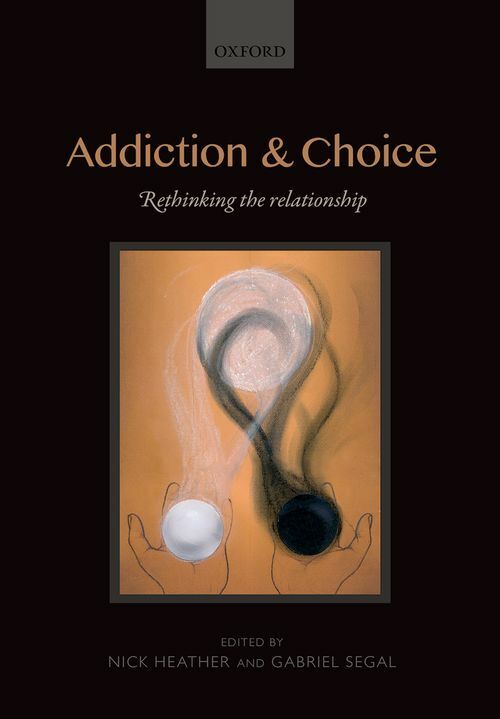 Addiction and Choice is a thought provoking new volume for all those with an interest in this global issue. Nick Heather is Emeritus Professor of Alcohol & Other Drug Studies at Northumbria University. After working as a clinical psychologist in the NHS, he developed the Addictive Behaviours Research Group at the University of Dundee. In 1987 he became founding Director of the National Drug and Alcohol Research Centre at the University of New South Wales. He returned to the UK in 1994 as Consultant Clinical Psychologist at the Newcastle City Health NHS Trust and as Director of the Centre for Alcohol and Drug Studies. He took up his present position on retirement from the NHS in 2003. He has published over 500 scientific articles, books, book chapters and other publications, with an emphasis on the treatment of alcohol problems and alcohol brief interventions. ; Gabriel Segal has a B.A. in Philosophy (first class honours) from University College London (1981), a B. Phil. (with overall distinction) from the University of Oxford (1983) and a PhD in Philosophy from M.I.T. (1987). He was Assistant Professor of Philosophy, University of Wisconsin-Madison (1987-89). He was Lecturer, Reader, then Professor of Philosophy at King's College, London (1989-present) and was Professor of Philosophy at the University of Reading (2012-2103). He is author (with Richard K. Larson) of Knowledge of Meaning: An Introduction to Semantic Theory MIT Press (1995); A Slim Book about Narrow Content, MIT Press (2000) and Twelve Steps to Psychological Good Health and Serenity: a Guide, Grosvenor House Publishing (2013).